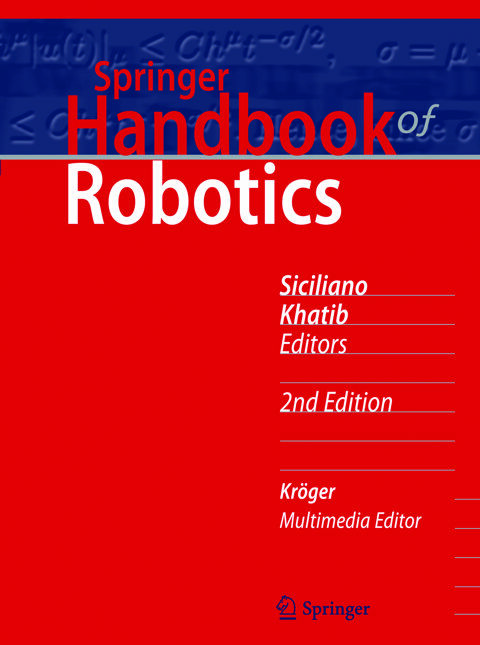 The Second Edition of the Springer Handbook of Robotics was a challenging six-year endeavour from 2011 to 2016. It mobilized a large number of active scientists and researchers to produce a comprehensive reference source combining basic and advanced developments. The First Edition of this Springer Handbook has been very successful and extremely well received in our community. New researchers have been attracted to robotics which in turn have contributed to further progress in this trans-disciplinary field. The Multimedia Extension of the Second Edition of the handbook is an openly accessible website. Seven part videos and more than 700 chapter videos are presented on this website. The video content makes understanding the written content easier and was designed to be a comprehensive addition to the Handbook. Concepts, methods, experiments, and applications described in the book were animated, visually illustrated, or paired with sound and narration – giving readers a further dimension to comprehend the written content of the book. Videos may be relevant from a technical, scientific, educational, or historical perspective.